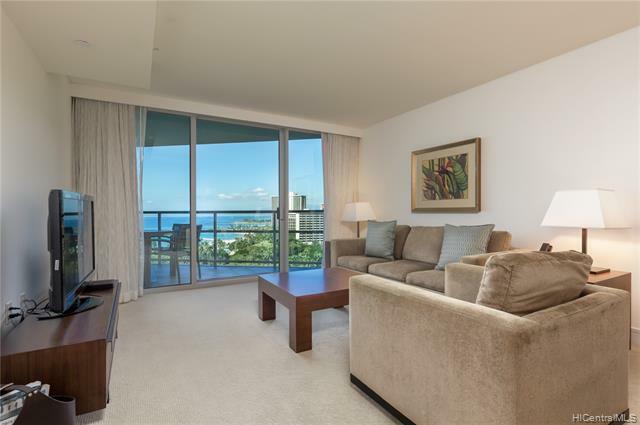 Enjoy luxury living at 5 star Trump Tower Waikiki Hotel/Condo! 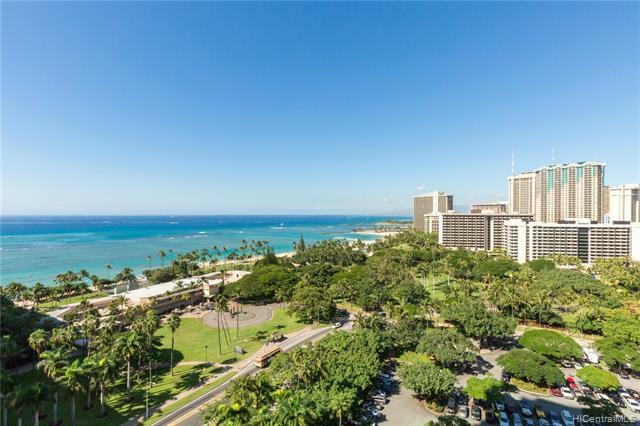 This 1 bedroom with Den unit is an ADA roomcomes fully furnished with all linens and kitchenware, and has desirable ocean views. 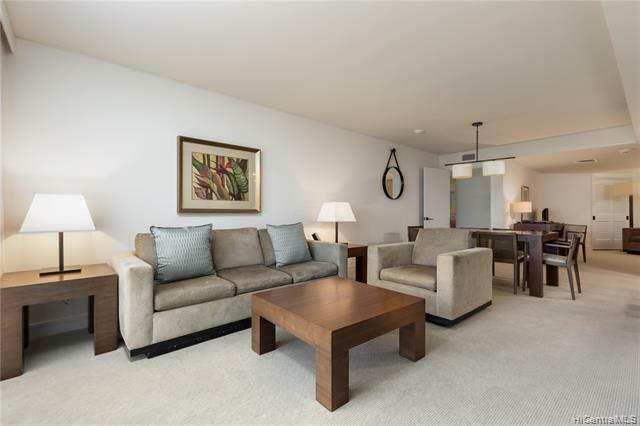 Top notch amenities includeinfinity pool, concierge, valet parking, and a full service spa. 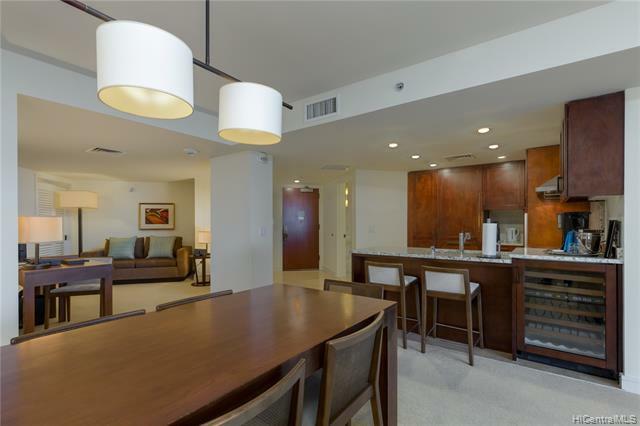 include in purchase are upscale appliances, granitecounter tops, and travertine flooring.